We are committed to providing a range of high-quality, professional design services at an affordable price. Based in Dundee, we service the local area and throughout Scotland. 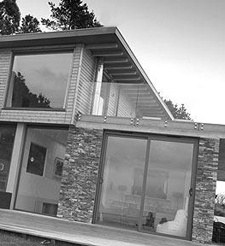 Our architectural design service provides clients with a quality solution tailored specifically to their requirements. From modern, contemporary extensions to sympathetic alterations of historic buildings we treat each project with the same level of care and attention. These are a small sample of the range of services we provide to our clients. 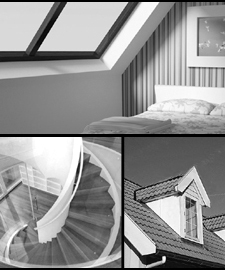 If you require our assistance with any other type of design or draughting work then contact us now. We can provide Structural Steelwork detail & fabrication drawings for a variety of applications including offshore structures, shipbuilding, commercial buildings. 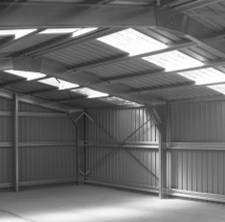 Specialising in steel portal frame buildings for commercial / retail units, acricultural, equestrian sectors. Providing fully detailed package including material take-off & order lists. We can convert your paper copy to AutoCAD for fully editable access to your archive drawings. Edit, copy & store your drawings electronically without the need for archive space or secure storage facility. 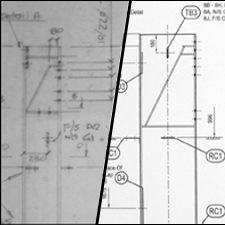 Converted drawing files can be supplied in a variety of formats (dwg, dxf, pdf, etc) to suit your application. Our philosophy is simple : To provide a quality, professional design & draughting service at an affordable price. We operate a flexible pricing policy which allows us to provide our clients with the best possible value for money. We DO NOT charge a percentage of project cost, we DO NOT charge a standard, fixed rate. Each project is priced individually with no hidden extras. The price we quote is the price you pay.